Exceptional Pier Home located on Baltimore~s Inner Harbor in the prestigious waterfront gated community of Harborview. This 3 bedroom, 2 bath, 1 half bath residence boasts over 2,600 square feet of luxury living on 5 levels adorned with contemporary appointments including a gourmet kitchen with stainless steel appliances, granite counters, gas cooking & hardwood flooring, 3 verandas, rooftop terrace with incredible water and Inner Harbor views, and two car garage plus 2 car parking pad. Enjoy the community amenities with 24/7 security, a private guest parking garage, outdoor pool, private fitness center, concierge services and multiple restaurants within walking distance. 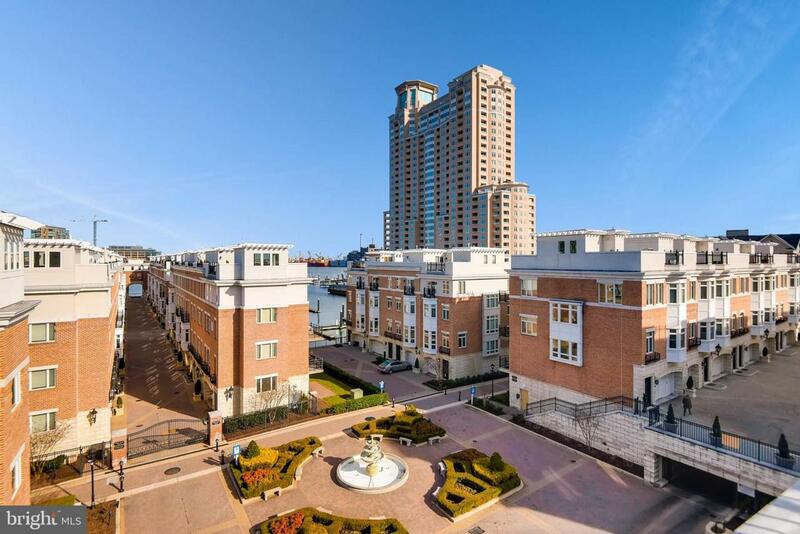 The Pier Homes at Harborview provides the ultimate balance of neighborhood charm and downtown convenience with amazing views.